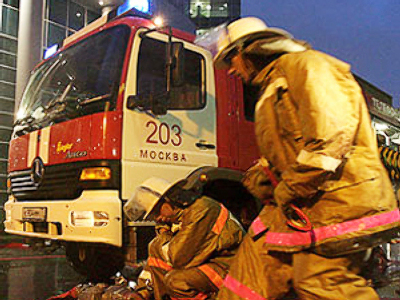 The family of a French businessman has died in a fire on early Monday morning in Moscow. The police suspect the tragedy was a criminal act involving robbery, murder, and arson. A married couple and their two-year-old daughter were found dead in a burnt-out apartment in the center of Moscow on Monday, April 20. Earlier reports said that the woman’s hands were tied. A preliminary autopsy revealed traces of strangulation on the body of Spinelli’s wife. “It’s only the preliminary conclusion, as the body was scorched badly by fire,” says Anatoly Bagmet. Arson is now thought to be the cause of the fire. According to Bagmet the investigators have ascertained two points of ignition within the apartment. The deceased foreigner was engaged in winemaking. Thierry Spinelli, Direct Vignobles’ general representative of France to Russia, had been working in Russia since 2004.